June 10, 2015 - Say what? According to an article from the U.S. Department of Energy, the state of Connecticut is beginning a program to provide it’s homes with energy efficiency labels. The statewide program is called Home Energy Solutions. It was created by EnergizeCT to provide energy efficiency scores for homes and suggest ways to improve efficiency to homeowners. The score runs on a 1 – 10 scale, with 1 being very inefficient and 10 being incredibly efficient. The report will also provide an estimation of how much money a homeowner could save annually if they increase their home’s efficiency. You probably already know that some simple things can make a more energy efficient home. Items like ensuring all windows and doors are properly sealed to not let in air in or out, using blockout window curtains in the summer and not covering air conditioner vents with furniture go a long way to lowering your energy bills. But other things can have immediate and much more dramatic effects on cutting utility bills and making your home more eco friendly. 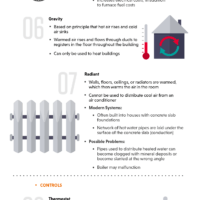 For instance, different heating and cooling systems (especially if you currently heat with propane or oil fuel). Geothermal heat pump systems use the earth’s natural ability to store solar energy. In winter when you need to heat your home, geothermal uses a loop buried in the 50° ground to extract heat, rather than use the 20° air (possibly much colder). And using propane or oil fuel to keep your home warm is even much less efficient than air-source (non-geothermal) heat pumps, meaning geothermal can save you loads compared to propane or oil fuel. If you use propane or oil fuel, you already know how high fossil fuel prices can get. Then, in summer when you need to cool you home, the same geothermal system cools your home by moving heat from your home into the 50° ground. This is opposed to moving heat into the 90° (or much hotter) outside air. 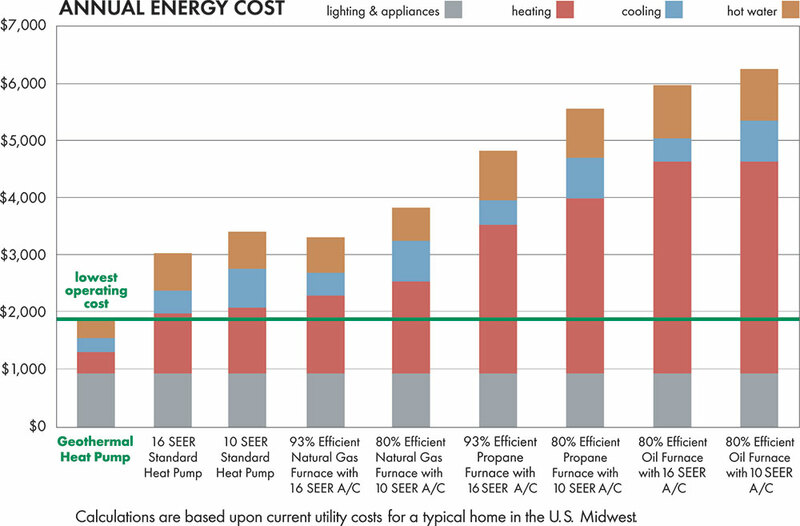 How much can geothermal save you on your energy bills? You don’t have to wait for a home efficiency report. 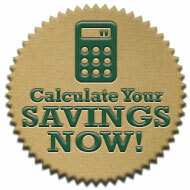 Use our easy geothermal savings calculator. Speaking of the Dept. of Energy, that organization and the Environmental Protection Agency both have attested to the superior ability of geothermal. With geothermal’s proven ability to lower heating and air conditioning costs, implementing a geothermal system will go a long way in helping homes get a great score and save a lot on energy costs annually. 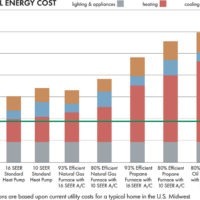 This is just the Beginning of Energy Efficient Home Programs. 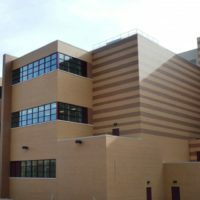 The Dept of Energy article says that Colorado and Vermont will also soon be introducing similar eco friendly homes programs. The goal of these programs are to help residents across the country understand energy savings and efficiency when buying homes and promote sustainability. The Connecticut Dept. of Energy and Environmental Protection is also working to eventually include home efficiency information in real estate listings. 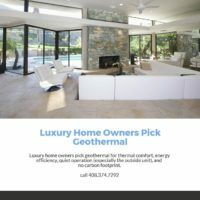 If you want to take advantage of geothermal heating and cooling and you live in northern California call Cold Craft, Inc. 408.374.7292, coldcraft.com. The CEO of Cold Craft, Susan Nichol is the Chair of the California Geothermal Heat Pump Association and Cold Craft is prepared to consult with you to improve your home's energy efficiency. 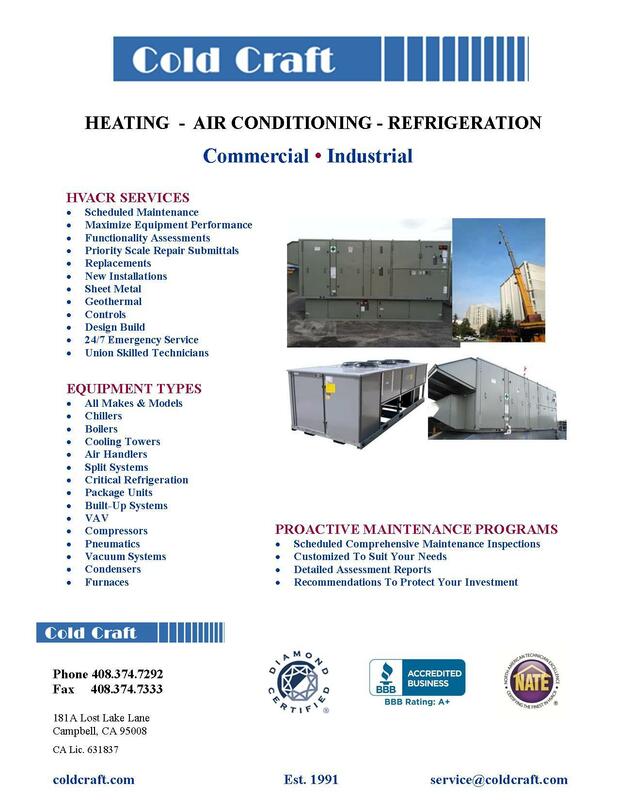 Cold Craft is a certified geothermal installer.